I don’t know when this was. I just found this. This is me and my brother. I thought it would make a good near Halloween Friday Photo post. I do not remember him dressing up as a woman. And I don’t remember this particular time I was a gypsy. 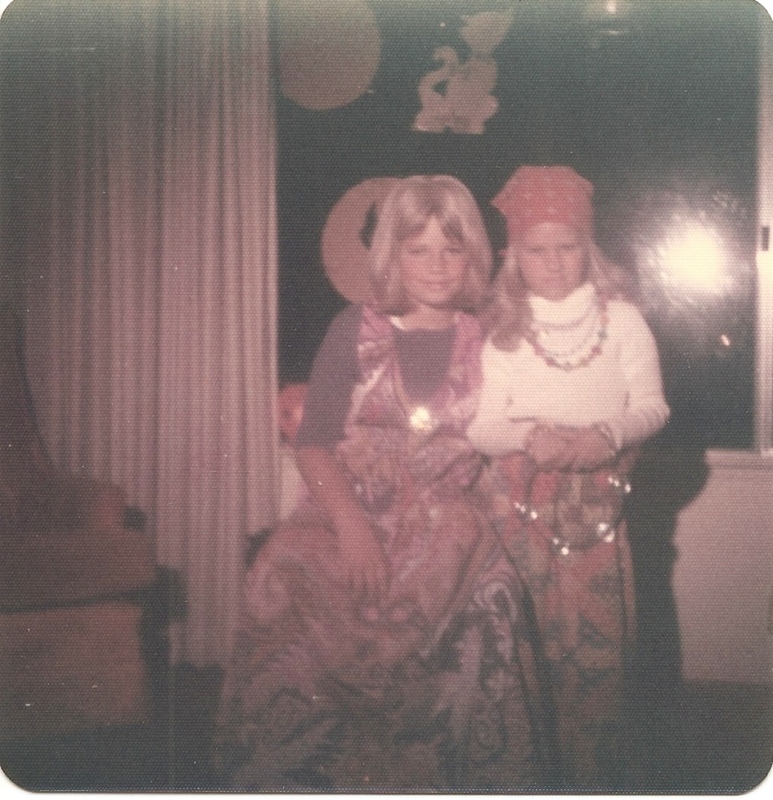 But I know I was a gypsy often because . . . . do you remember what Halloween costumes were like back then? If you don’t remember (because you are too young) they were NOT GOOD. NOTHING like costumes today. The masks were hard plastic and just so different from now-a-days. So I preferred the “homemade” costumes and there was nothing like a gypsy costume. A flowing skirt, lots of jewelry and MAKE-UP! Oh I was in heaven. As I said, I was a gypsy a few years.